Dubai airline Emirates supported more than 104,000 American jobs and contributed $21.3bn in revenue to the US economy in 2015, according to a new study. The study, conducted by consulting firm Campbell-Hill Aviation Group, claimed that the airline contributed $10.5bn to the country’s gross domestic product and $6.4bn of labour income. The study comes even as three of America’s biggest airlines have called for an end to the US’ open skies agreement with the UAE and Qatar, accusing the three big Gulf carriers of receiving unfair government subsidies. All the GCC airlines – Emirates, Etihad Airways and Qatar Airways – have denied the allegations. They claim their operations have supported the US economy and provided jobs to thousands in the country. According to the latest study, Emirates’ operations to the US brought over 580,000 new travellers to the country, who would not have travelled there otherwise, and generated $3.2bn of new trade-based revenue. It also said that indirect spending within the US by the passengers along with new merchandise and service trade created approximately 30,000 jobs, and $4.6bn of new revenues for US businesses. Sir Tim Clark, president of Emirates said: “Campbell-Hill’s data shows we’ve brought hundreds of thousands of new travellers to the United States, helped increase competitive air transport options for over a million American and international travelers who flew with us, and contributed to increased demand for US exports in aerospace and many other sectors. The airline launched its first US service to New York’s John F. Kennedy International Airport in 2004. It currently flies more than 135 weekly passenger and cargo flights to 14 US gateways, including recently launched services to Orlando and Fort Lauderdale in Florida, as well as to Newark via Athens. From a commercial perspective, Emirates is a major customer of Boeing, and is the largest operator of the 777 wide-body aircraft in the world. 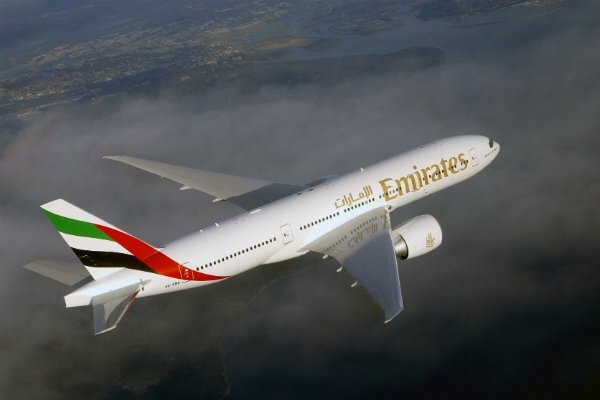 Emirates has 163 Boeing 777 aircraft in its fleet and another 171 on order along with parts and other commodities and services purchased for fleet maintenance. These aircraft are largely powered by GE engines and serviced by GE Aviation – another major US-based company. Emirates’ Airbus A380 fleet, the largest in the world, is also primarily equipped with US-manufactured Engine Alliance engines and associated components. “Emirates has always embraced the goals of open skies which are to promote increased travel and trade, enhance productivity, and stimulate high-quality job opportunities and economic growth,” said Clark. “Delta Air Lines, American Airlines, United Airlines and their proxies continually pour money in to lobby and make unfounded accusations against Emirates, but they have never filed a formal US Department of Transportation complaint against Emirates, even though this is the statutory process long relied on by US airlines to address allegations of unfair competition. That itself is telling. “Sitting on record profits and with employment in US aviation at an all-time high, the three carriers know they don’t have a leg to stand on. Evidence repeatedly points to the benefits that Emirates bring to US consumers and the economy, and the total absence of alleged competitive harm,” he added.